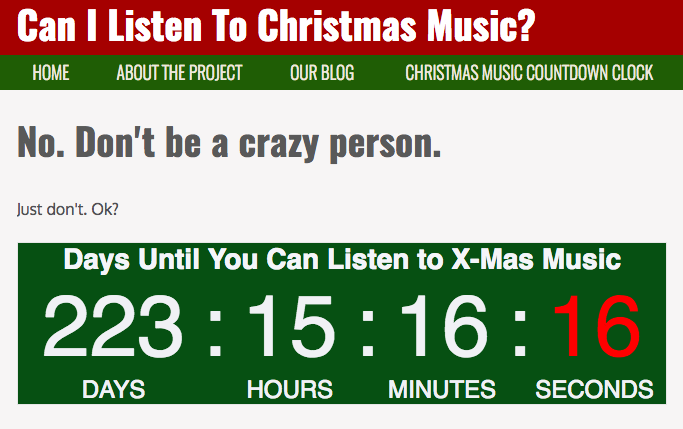 It took us until March to get around to it, but....We've updated our 2017 "Can I listen to Christmas music?" countdown clock on the homepage. You can check it out there. Or, right here in this post below.